A well maintained septic system can provide years of low cost reliable service to your home. Taking care of your septic system is taking care of yourself, your wallet, your investment and the environment. 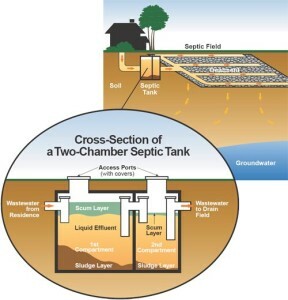 Without proper maintenance and inspections, septic systems can fail. It is now required by the state of Washington that all on-site septic systems be inspected on a periodic basis. Our highly experienced, licensed inspectors will inspect your septic system and provide you with a complete report outlining the health of your system and drain field, including suggested maintenance. Receiving a certified professional inspection from Baker Septic can help keep your septic system out of sight, out of mind and performing at its best. 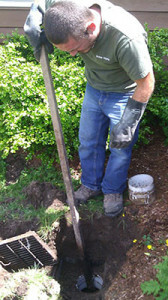 Schedule your Septic System Inspection today! 1. The homeowner save money and protect their investment in their home. 2. Maintain good faith with neighbors. 3. Prevent small problems from becoming BIG expensive ones. 4. Protect and maintain a healthy watershed and environment. 1. Have regular inspections (based on your system type) and maintenance checks every three years. 2. Mark your calendar. Choose a date and time of the year that is easy to remember to have your septic system inspected. Or contact us and we will schedule your reminders based on your septic needs. 3. Conserve water. Too much water can cause solids to escape, plugging your septic system. 4. Never drive a vehicle or heavy equipment over your drainfield area. 5. Have a healthy grass cover on the absorption field area, but avoid planting shrubs and/or trees within 30 feet of your drainfield. 7. Keep a record of all septic pumping, inspections, and maintenance. When to Pump a Septic Tank? The Health Department recommends that septic tanks be cleaned every 3-5 years, to remove the sludge buildup and other accumulated debris. How often your tank will require cleaning depends on the size of the tank and the amount and type of solids entering the tank. Having your tanks pumped is important maintenance to the system. Solids exiting the house build up in the septic tank and often in the pump tank. If the solids build up too high, they can plug the baffles in your septic tank, causing a backup in the house. Solids can also be forced into your drain field (or sand/gravel filter, etc.) causing it to plug and fail. When is it time to pump? • There is less than 3″ between the bottom of the floating solids and the bottom of the outlet baffle. • There is less than 12″ between the top of the settled solids and the bottom of the outlet baffle.